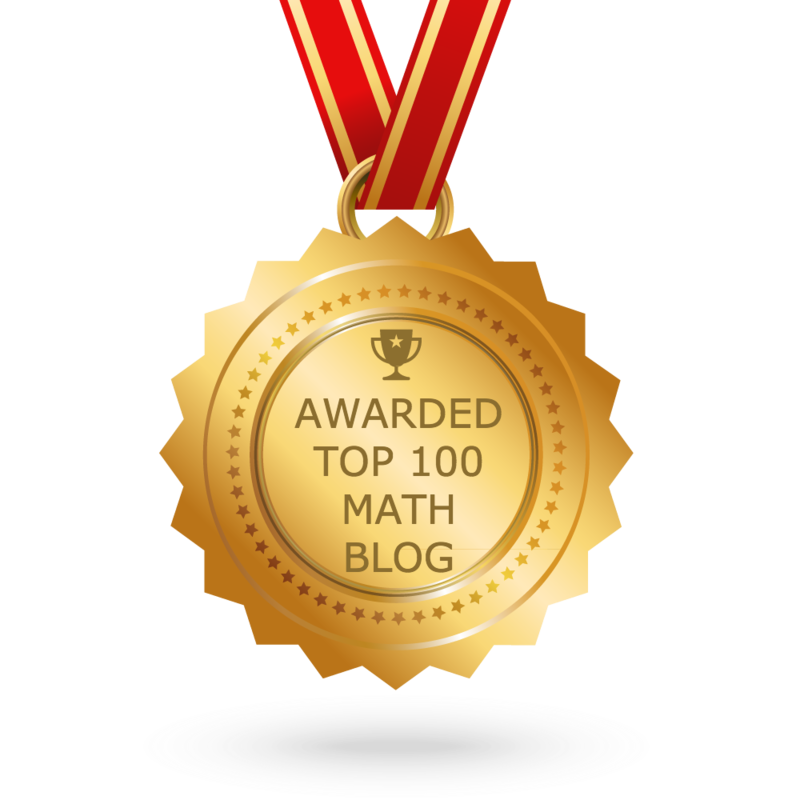 About "Solving quadratic inequalities graphically"
"Solving quadratic inequalities graphically" is sometimes a difficult task for some students who study high school math. Let us see the steps involved in solving quadratic inequality graphically. Let the given quadratic inequality be ax² + bx + c ≥ 0. We have to write the quadratic function y = ax² + bx + c.
The graph of y = ax² + bx + c will either be open upward or downward parabola. We can use the below table to know whether it is open upward or down ward. The graph of y = ax² + bx + c may intersect X- axis or not. We can use the below table to know whether it intersects X -axis or not. We can use the formula x = -b/2a and find the vertex of the parabola. We can use the results of step 2, step 3, step 4 and sketch the graph of the given parabola. 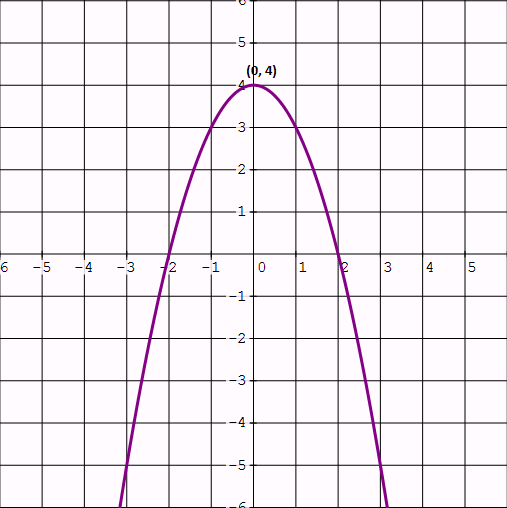 We can get solution for the given inequality from the graph of the parabola. To have better understanding on the above mentioned stuff, let us look at some example problems on "Solving quadratic inequalities graphically"
Solve the quadratic inequality given below graphically. Let y = x² + 5x + 6. The sign of "x²" is positive. So the parabola is open upward. So, the parabola intersects x - axis. let us use the formula x = -b/2a. We can use the results of step 2, step 3, step 4 and sketch the parabola. (-∞, -3] & [-2,+∞) of "x". Let us look at the next problem on "Solving quadratic inequalities graphically". The sign of "x²" is negative. So the parabola is open downward. So, the parabola does not intersects x - axis. 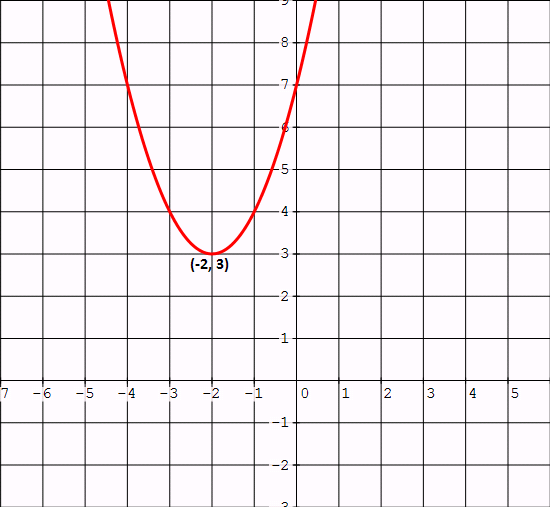 When we look at the above graph, "y" is negative for real values of "x". 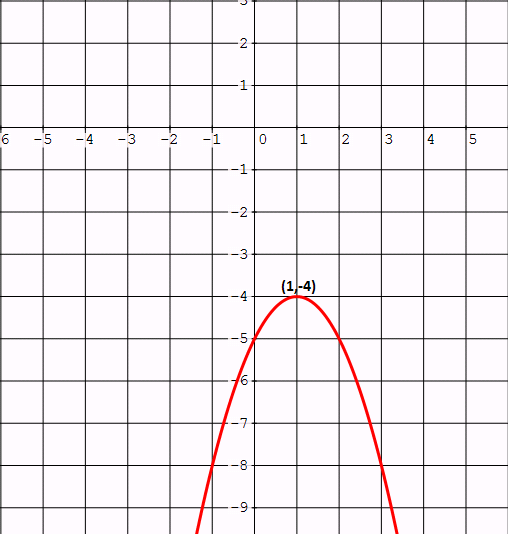 When we look at the above graph, "y" is positive for all real values of "x". It contradicts the given inequality. Hence, there is no solution. You can also visit the following web pages. 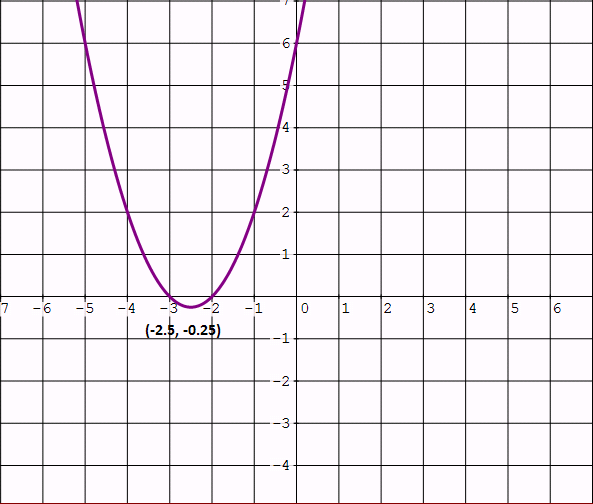 Apart from the above stuff example problems on "Solving quadratic inequalities graphically", if you want to know more about "Solving quadratic inequalities graphically", please clcik here.